The red building is the Skwentna Roadhouse Lodge. Been owned and managed by several families…..founded by John & Joyce Logan and currently owned by Mark & Cindi. 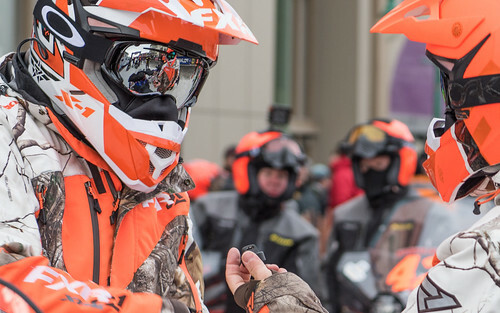 The first 89 miles of real racing……Zoom Zoom Zoom. 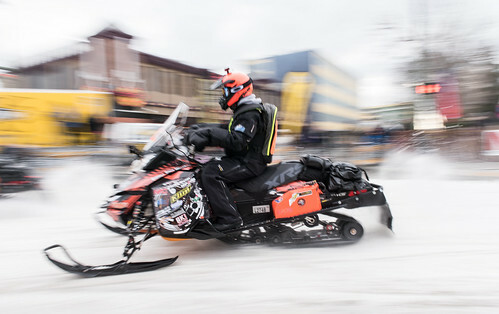 Racers have spent many hours of racing from Big Lake to Skwentna on training runs, but on the third Sunday morning in February 2016 it will be a whole different story. 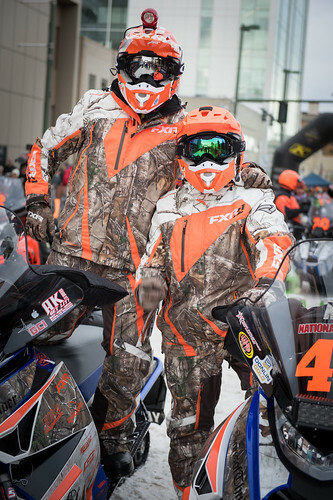 Some racers have been training years for this day, some will have their first taste of race day. If they were lucky they have an early draw/start number, to get out on the trail before it gets beaten and tracked up like no other. The journey for all us has just begun. 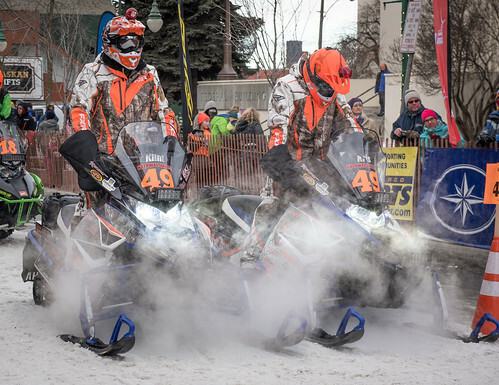 Fastest team to SKW might be 55 minutes = 97 MPH….even if they do it in 64 minutes the average speed is 84 MPH……when you consider the bumps right off Big Lake you gotta wonder “how they do that? 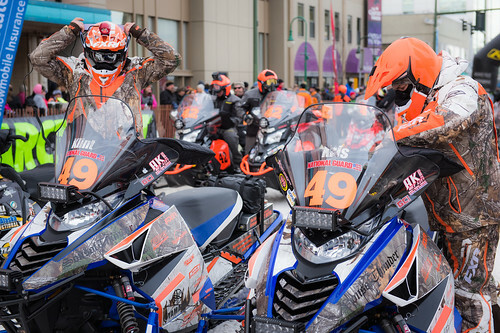 These elite racers are athletes like no other…..some will tell you it’s just a day in the park, others will tell you the first 24 hours are as brutal as any they have ever done before….no matter the make up of a team…..Rookies or 20 years of Iron Dog experience….the adrenaline is the same……it runs like blood in their veins……amped up and hot on the throttle,,,,,,everything in their power to get to Shell Lake and beyond….out of the fray…..past the crowds and in a groove that they have visualized for their day one. SKW is just 40 minutes by air from Anchorage…….it has an airstrip and on Sunday February 21 there will be 1000s of fans, machines and probably about 20 aircraft in the area filled with a Nascar worthy mobile garage full of tools and parts and more wrenching ability then the best mechanic school or engineering program at MIT. If it is fixable….“Tork” and a racing team will make it happen. Tork is Mark Torkelson, owner of Skwentna Roadhouse Lodge. He is a former Iron Dog racer….he has the metal to prove it…..taking home his championship trophy in 1989 with Scott Davis…..he has a lot of top five finishes and he can fix almost anything……although I know first hand he doesn’t do computers so if its code and programing that has bit a race team…..it’s gonna hurt! While a team is on LO, they are making a plan……ordering parts, coordinating the assembly of a plan, if they can get it repaired they are back in, they would be leaving in the dark close to midnight depending on the repair time, but sometimes it is better to travel a hard frozen trail after the cold has set things up from 80 machines that have gone before, the light is good, the contrast is excellent, and nobody is stuck or slow on “the steps”, they can blast through Puntilla onto Rohn and be in MCG by morning…..the flex LO is due putting them back on trail mid day Monday…..I have seen teams move from 20th to top 5 even with a 12 hour setback in the first 150 miles of day one……it can happen!!!! 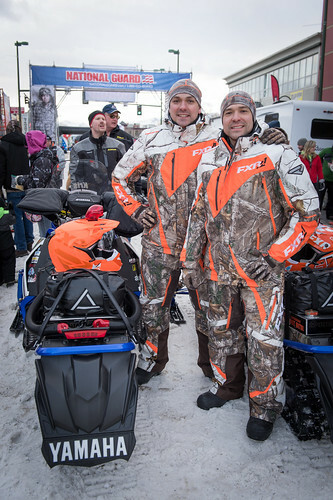 Mark Torkelson, enjoying trail stories in 2014 at the Iron Dog Appreciation weekend. Parts and pieces of heartbreak are still in the sheds at Skwentna Roadhouse. The Iron Dog has had many names…..the reflective sign in the back was one of the original trail markers used back in the 80s…..it was known as the Gold Rush Classic back then. 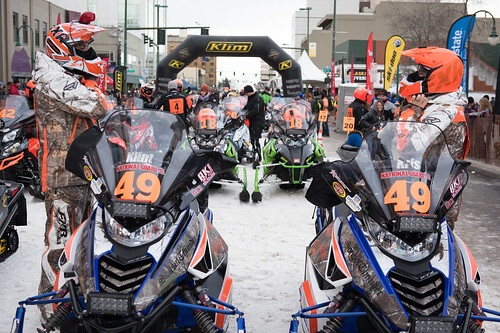 Time sheets are used at every checkpoint….teams are required to sign in/out and those time sheets are sent to the HQ after raceweek for auditing. More parts and pieces that decorate the sheds……here is a cowling from a team. From the air over the airstrip not a plane in site now, but come race morning….there will be 20 aircraft on the ground for a look-see!! In the air above Skwentna from Anchorage….it is only 40 minutes of flight time.. The trail leaving Skwentna headed to Shell Lake the Express Checkpoint…. Mark, Cindi and loads of volunteers set up about 6 different gas pump stations for the racing teams……gas, oil, isopropyl and antifreeze are available for teams…..signing a time card and they are on their way!!! 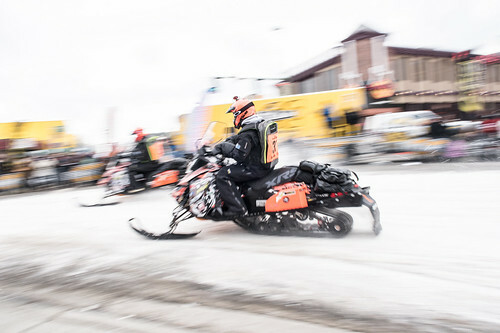 1000s of fans ride to the river to enjoy watching the racers on the course…..some of them go all the way to Skwentna to watch the activities of the first checkpoint. Looking back on my photos reminded me how special my trip out there was…..Looking forward to 2016 Mark!!! great story about a great man! I learned a lot of trail skills from Mark in the years we Iron Dogged as a team.